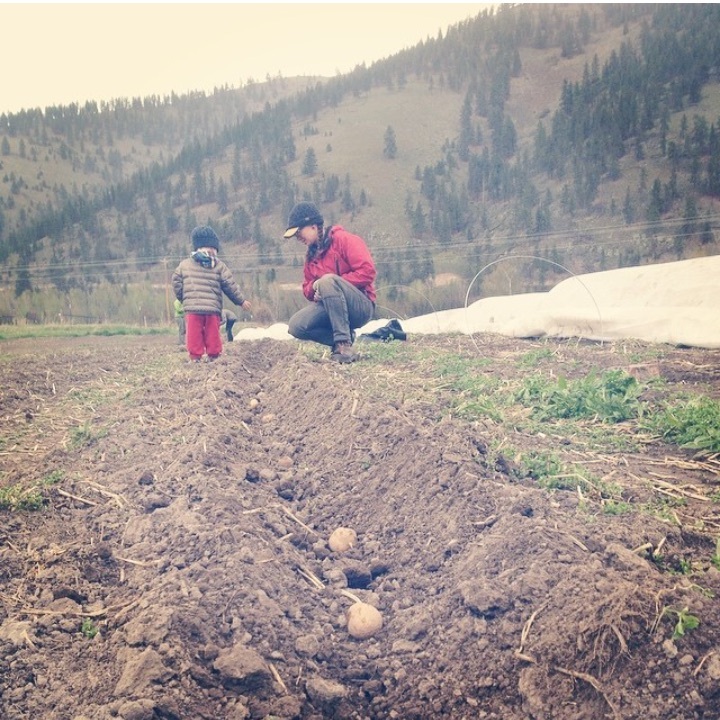 We’re looking forward to having you on the farm to help us plant all the baby onions! Bring anyone and everyone – kiddos super welcome. Planting will start at 4pm, mostly onions. Stick around after planting (6ish) for pasta and fresh salad. Come at any time, bring a beverage if you want one! We ask that you leave your four-legged friends at home. Wear clothes that you don’t mind getting dirty, sunscreen, and layers. Bring a water bottle and gloves if you want them. Show up anytime. Plant a few or plant them all! If you have any questions please email (countyrailfarm@gmail.com) or call (209.8704)! Take the Huson exit (#85, the first after Frenchtown from the west, first after 9mile from the east). Go over the bridge across the highway, then take the first right onto Huson Rd. From there take the first left onto Beeler, then first right onto Mullan. We are on the left, a few properties down. Brown house and warehouse, set back from the road, you’ll see our greenhouse from the road and production fields in out front.